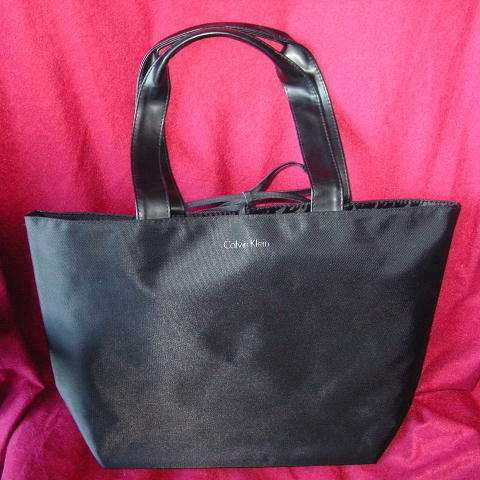 This never-used black synthetic (probably a polyvinyl) tote has two black faux leather 20 3/4" by 1 1/4" handles. Both top center sides have 18 1/2" by 1/4" black fabric ties. 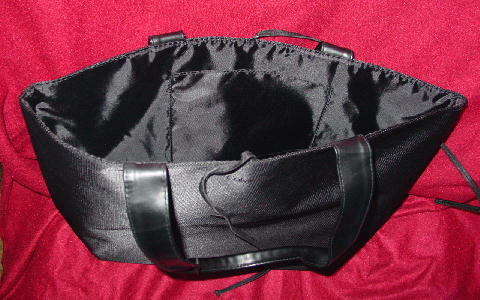 The interior has a black synthetic lining with a small open upper interior pocket. Calvin Klein is in tone-on-tone elevated black letters near the top front center. The exterior has a nice sheen to it. Eden picked it up when she was in London.